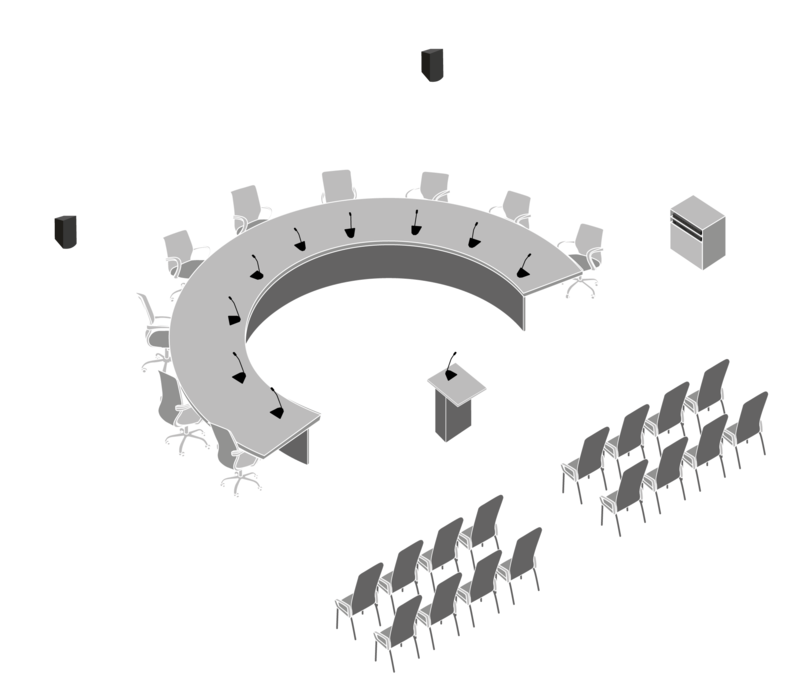 Centraverse™ Installed Microphones are a plug-and-play audio solution ideal for high quality sound reinforcement in simple discussion applications, as usually required in smaller city councils. They are quick and easy to set up and provide scalable, best-in-class performance at budgetfriendly cost. 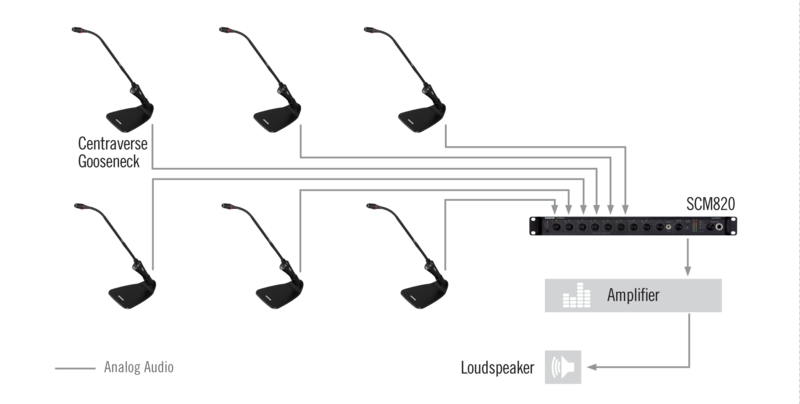 Combined with SCM IntelliMix® Automixers, this solution also allows for easy integration with third party equipment. CommShield® Technology guards against unwanted RF interference and intense nearby radio signals from smartphones, etc.